Context: Young people expose themselves to high noise levels during leisure activities, and might thus be at risk of acquiring hearing-related problems. Therefore, information regarding risk-taking behavior is necessary to prevent future hearing problems and to optimize future preventive campaigns. Aim: This study evaluated the test–retest reliability of the Youth Attitude to Noise Scale (YANS) and beliefs about hearing protection and hearing loss (BAHPHL) instrument. Settings and Design: Forty-three young adults between 18 and 29 years filled in a questionnaire at two test moments. Materials and Methods: The YANS and BAHPHL instrument were used to evaluate the attitudes toward noise, hearing loss, and hearing protection. Each participant completed the retest within 21–55 days after the first administration of the questionnaire. Results: Paired Student’s t-tests showed no significant differences in mean scores between test and retest for both the entire YANS and BAHPHL instrument as well as their factors. Furthermore, a good agreement between test and retest scores was seen by Bland–Altman analyses. Intraclass correlation coefficients were above 0.70 for the entire YANS and the factor related to youth culture as well as for the entire BAHPHL and all the factors of the BAHPHL instrument, except for the factor related to the severity of the consequences of hearing loss. Conclusion: Reliable test–retest measurements of the YANS and BAHPHL instrument can be performed. Hence, these questionnaires can be used in longitudinal studies to explore young adults’ changes in attitudes toward noise, hearing loss, and hearing protection, with or without an educational intervention. Context: Tinnitus is a common disorder that occurs frequently across all strata of population and has an important health concern and is often associated with different forms of the hearing loss of varying severity. Aims: To investigate the association between the polymorphism of tumor necrosis factor alpha (TNFα) in the region −308 G/A with the susceptibility to tinnitus in individuals with the history of exposure to occupational noise. Settings and Design: This was a cross-sectional study with a sample of 179 independent elderly people above 60 years of age. Materials and Methods: Information on exposure to occupational noise was obtained by interviews. Audiological evaluation was performed using pure tone audiometry and genotyped through polymerase chain reaction by restriction fragment length polymorphism. Statistical Analysis Used: Data were analyzed using the chi-square test and the odds ratio (OR), with the significance level set at 5%. Results: Among elderly with tinnitus (43.01%), 33.76% had a history of exposure to occupational noise. A statistically significant association was found between genotype frequencies of the TNFα gene in the −308 G/A region and the complaint of tinnitus (P = 0.04 and χ2 = 4.19). The elderly with the G allele were less likely to have tinnitus due to occupational noise exposure when compared to those carrying the A allele (OR = 2.74; 95% CI: 1.56–4.81; P < 0.0005). Conclusion: This study suggests an association between the TNFα with susceptibility to tinnitus in individuals with a history of exposure to occupational noise. 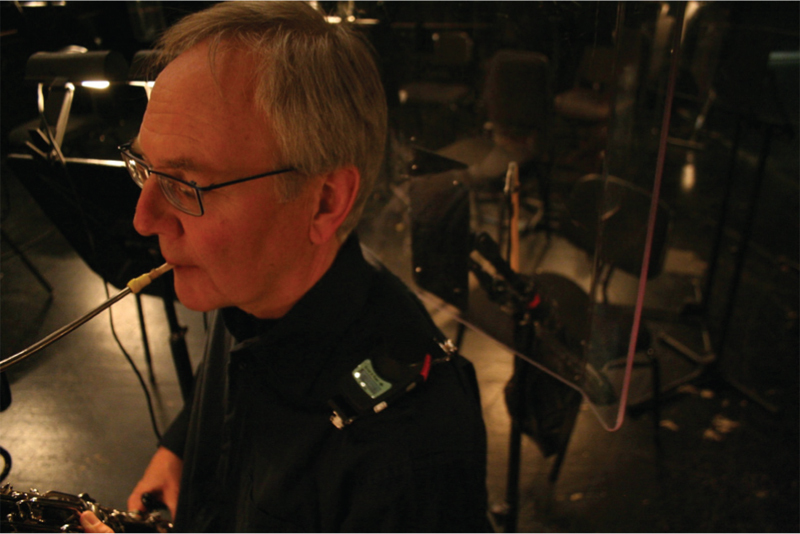 Introduction: This study is a follow-up to prior research from our group that attempts to relate noise exposure and hearing thresholds in active performing musicians of the National Ballet of Canada Orchestra. Materials and Methods: Exposures obtained in early 2010 were compared to exposures obtained in early 2017 (the present study). In addition, audiometric thresholds obtained in early 2012 were compared to thresholds obtained in early 2017 (the present study). This collection of measurements presents an opportunity to observe the regularities in the patterns of exposure as well as threshold changes that may be expected in active orchestra musicians over a 5-year span. Results: The pattern of noise exposure across instrument groups, which was consistent over the two time points, reveals highest exposures among brass, percussion/basses, and woodwinds. However, the average noise exposure across groups and time was consistently below 85 dBA, which suggests no occupational hazard. These observations were corroborated by audiometric thresholds, which were generally (a) in the normal range and (b) unchanged in the 5-year period between measurements. Conclusion: Because exposure levels were consistently below 85 dBA and changes in audiometric thresholds were minimal, we conclude that musicians experienced little-to-no risk of noise-induced hearing loss. Introduction: Noise exposure, the main cause of hearing loss in countries with lot of industries, may result both in temporary or permanent hearing loss. The goal of this study was to investigate the effects of parenteral papaverine and piracetam administration following an acoustic trauma on hearing function with histopathologic correlation. Materials and Methods: Eighteen Wistar albino rats exposed to noise for 8 h in a free environment were included. We divided the study population into three groups, and performed daily intraperitoneal injections of papaverine, piracetam, and saline, respectively, throughout the study. We investigated the histopathologic effects of cellular apoptosis on inner hair cells (IHCs) and outer hair cells (OHCs) and compared the distortion product otoacoustic emissions (DPOAEs) thresholds among the groups. Results and Discussion: On the 3rd and 7th days, DPOAE thresholds at 8 kHz were significantly higher both in papaverine and piracetam groups compared with the control group (P = 0.004 for 3rd day, P = 0.016 and P = 0.028 for 7th day, respectively). On the 14th day, piracetam group had significantly higher mean thresholds at 8 kHz (P = 0.029); however, papaverine group had similar mean thresholds compared to the control group (P = 0.200). On the 3rd and 7th days following acoustic trauma, both IHC and OHC loss were significantly lower in both papaverine and piracetam groups. On the 7th day, the mean amount of apoptotic IHCs and OHCs identified using Caspase-3 method were significantly lower in both groups, but the mean amount identified using terminal deoxynucleotidyl transferase dUTP nick end labeling method were similar in both groups compared to the control group. Conclusion: We demonstrated the effects of papaverine and piracetam on the recovery of cochlear damage due to acoustic trauma on experimental animals using histopathologic and electrophysiologic examinations. Introduction: Motorcycle riders with noise sensitivity (NS) may suffer from degraded health-related quality of life (HRQOL) because they are exposed to acute noise levels on a daily basis. Materials and Methods: This study was aimed to identify the relationship between NS and HRQOL among young motorcycle riders (undergraduate university students) aged between 19 and 25 years (n = 301) through a cross-sectional questionnaire-based study, that is, Weinstein noise sensitivity scale and the World Health Organization Quality of Life. 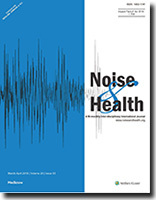 The effects of NS on HRQOL were assessed based on gender, the years of motorcycle driving experience, and noise sensitive among groups using one-way analysis of variances with an alpha value of 0.05. Results: The results showed no significant difference in NS between males and females. On the other hand, motorcycle driving experience for <4 years displayed a higher tendency toward NS. 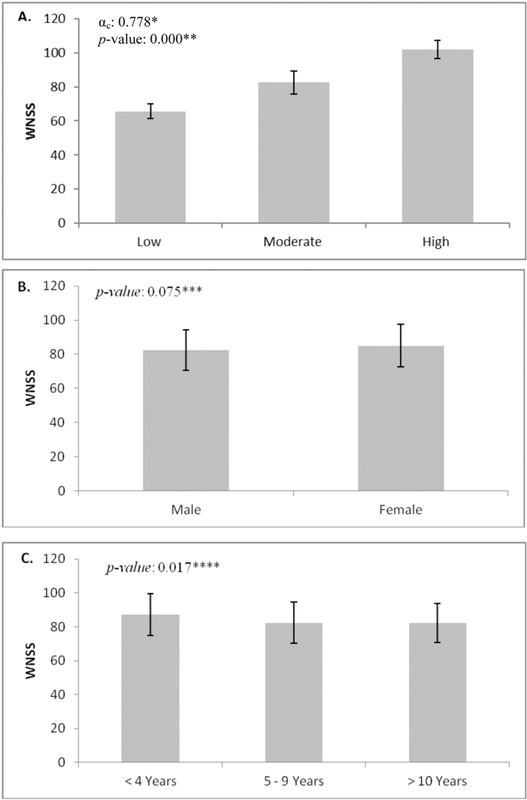 Moreover, a significantly (P = 0.004) decreasing trend among low, moderate, and high NS with their respective HRQOL was observed, while a high NS showed significantly (P = 0.015) lower scores on the social domain of the quality of life. Conclusion: The overall premise of the study has statistical significance and shows that individuals with high NS tend to have degraded HRQOL compared to individuals with low NS. Furthermore, in-depth studies are required from the other demographical background of participants to investigate the motorcyclist’s NS and HRQOL as an integral requirement for the rider’s safety and health. Introduction: In open-cast mines, noise pollution has become a serious concern due to the extreme use of heavy earth moving machinery (HEMM). 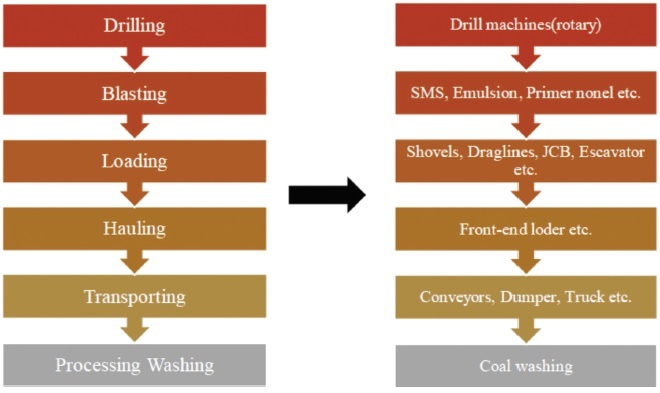 Materials and Methods: This study is focused to measure and assess the effects of the existing noise levels of major operational mines in the Keonjhar, Sundergadh, and Mayurbhanj districts of Odisha, India. The transportation noise levels were also considered in this study, which was predicted using the modified Federal Highway Administration (FHWA) model. Result and Discussion: It was observed that noise induced by HEMM such as rock breakers, jackhammers, dumpers, and excavators, blasting noise in the mining terrain, as well as associated transportation noise became a major source of annoyance to the habitants living in proximity to the mines. The noise produced by mechanized mining operations was observed between 74.3 and 115.2 dB(A), and its impact on residential areas was observed between 49.4 and 58.9 dB(A). In addition, the noise contour maps of sound level dispersion were demonstrated with the utilization of advanced noise prediction software tools for better understanding. Conclusion: Finally, the predicted values at residential zone and traffic noise are correlated with observed values, and the coefficient of determination, R2, was calculated to be 0.6891 and 0.5967, respectively.